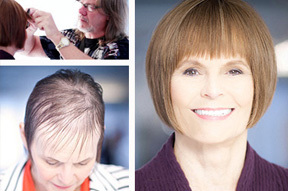 Challenged by fine of thinning hair? The Solution is the New EVOLVE Hair Volumizer. 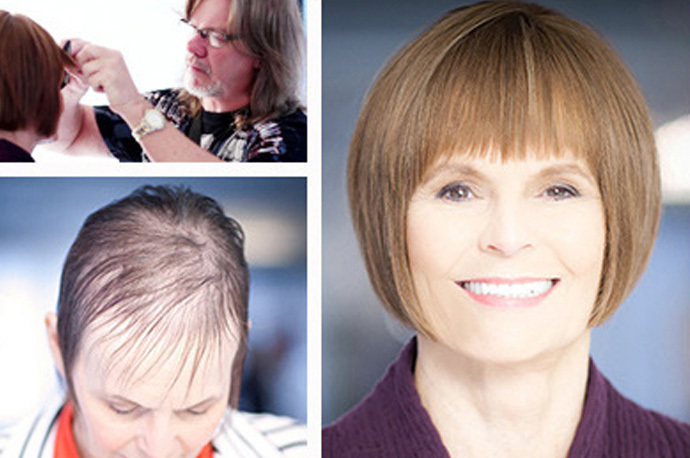 Change your hair forever, in just one day. The Evolve Hair Volumizer is a natural, undetectable, affordable salon service that gives you instant volume, texture and color enhancement, without the use of chemicals, glue or adhesives. Designed for women with up to 50% hair loss in the crown, or as a perfect accessory to add volume, texture or color enhancement over extensions. The Evolve Hair Volumizer is NOT a wig, chemical or laser enhancement. It is the NEWEST in-salon hair service. Experience the physical and emotional transformation you have been searching for. Contact Stephanie today for a FREE CONSULTATION!